Amplifying engagement in key local demographics for a Brighton & Hove institution. 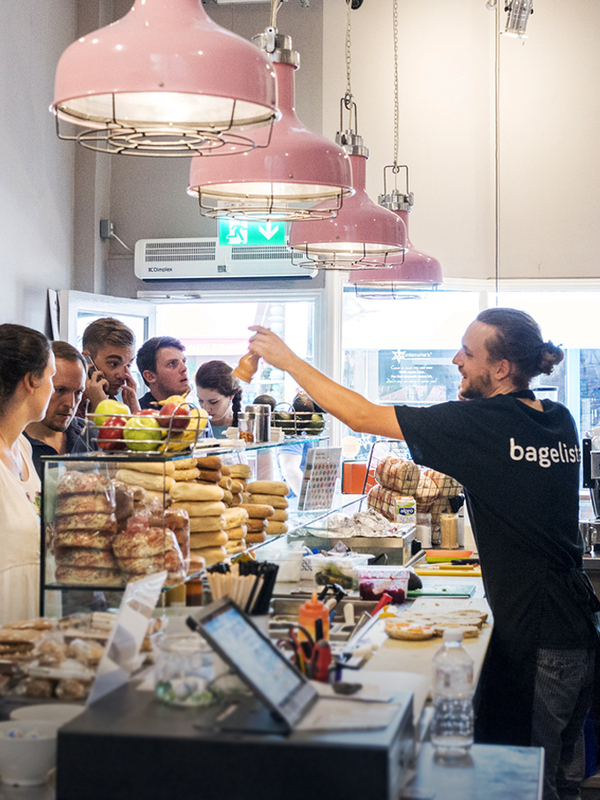 A Brighton & Hove institution, Bagelman bakes and sells bagels inspired by the Jewish delicatessens of New York and London’s East End. Fugu’s combined PR and social media campaign has focused on promoting Bagelman’s positive community impact. They work with the Real Junk Food Project to minimise store waste and have launched a ‘Pay It Forward’ scheme with Brighton Housing Trust to help those in the community who can’t afford to eat. Campaign highlights so far include consistent exposure in Brighton & Hove’s key media outlets, as well as national coverage in The Times. Fugu’s social strategy increased engagement with key demographics across all platforms, driving a 10% increase in Bagelman’s pre-order app downloads.